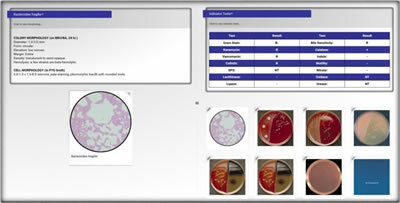 The Anaerobe Educator is an interactive computer learning platform designed by Anaerobe Systems to teach some of the important concepts in anaerobic organism identification. 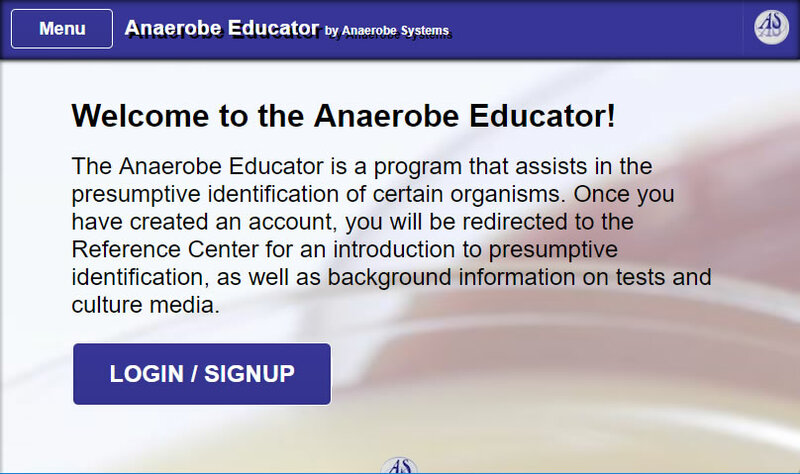 The Anaerobe Educator is online and FREE to use! 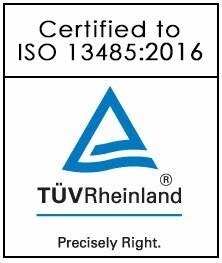 It can be used as a teaching or reference tool as well as for a simulated laboratory practical exam. In the Anaerobe Educator, informational slides cover the basic concepts of anaerobic bacteriology such as oxygen toxicity, presumptive ID techniques, culture media selection, and identification tests & observations. The Organism Info Center contains 19 clinically significant anaerobic organisms commonly found in anaerobic infections. In the info center, users can view the organisms growing on various culture media and observe biochemical or susceptibility spot test results. The Exam Center allows you to go through a simulated practical exam with several “unknown” organisms. Users can observe growth on the various types of media and spot test results, and then use charts to identify the organism. The Anaerobe Educator is a great tool to use for annual proficiency testing in laboratories as well as a teaching tool that can be used in the classroom. Online interactive platform, free to register and use! Introductory lesson on the basic concepts of anaerobic bacteriology. High quality pictures of growth, gram stains, and spot tests. Exam center where users can take a simulated practical exam with unknown anaerobic organisms.